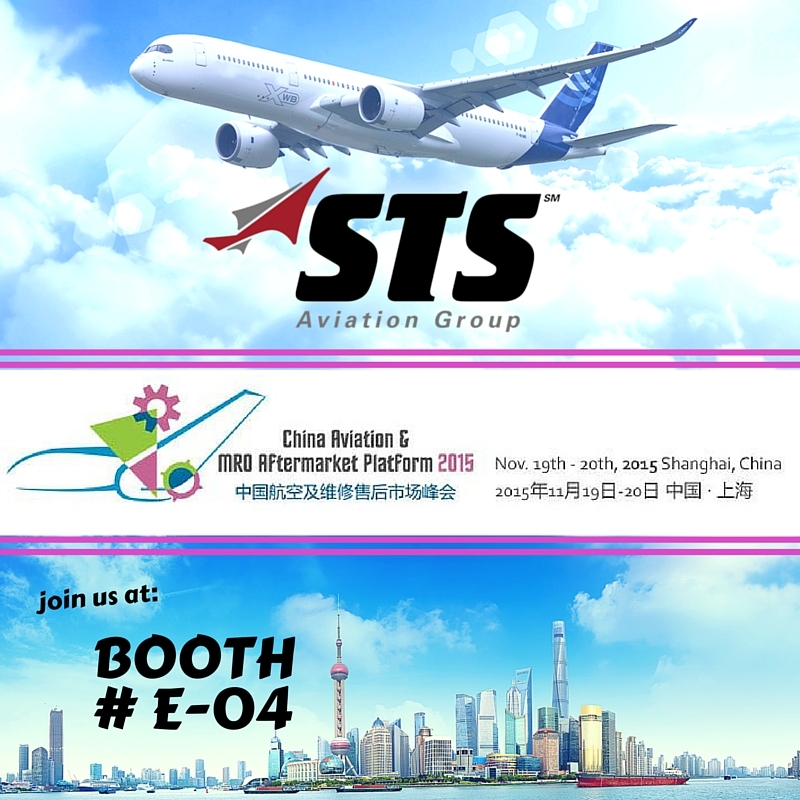 With a stronger presence taking root in the Asia-Pacific region, STS Aviation Group (STSAG) is extremely excited to be exhibiting at the 2015 China Aviation & MRO Aftermarket Conference for the first time ever! This event takes place November 19-20th at the Shanghai Hongqiao Airport Hotel. Team members from STS Component Solutions (STSCS), a division of STSAG, will be on site at Booth E-04 to discuss what it is that makes STSCS a global industry leader in strategic inventory management, OEM distribution solutions and 24/7/365 live customer service support. Exhibiting at this conference provides STS the platform to discuss trends and issues related to China’s aviation aftermarket community with leading industry professionals; helping to identify ways to better support its customers. It also allows the opportunity to showcase STS’ newest division, STS Air-Pro, which specializes in the manufacturing and distribution of stock and custom-made hose assemblies and kits. According to the Civil Aviation Administration of China (CAAC), China will need over 6,000 new aircraft to support the tremendous growth and demand of the region’s market. This information, along with other data and inventory forecasting researched, was undoubtedly influential in STSCS striking a new Asian partnership, now allowing its distribution network to stock aircraft components in Shanghai! This also helped STS recognize the importance of being present and, building relationships at, such a dynamic event. The conference expects to draw together Chinese airlines (more than 35 in total), MRO companies, parts suppliers, after market players and OEMs focusing on delivering airline & MRO aftermarket revenue success in China. Attending the conference from the STSCS team are Tom Covella, Group President, Tim Russo, Director of Customer Solutions, and Jerome Kan, Director of Business Development for the Asia-Pacific region.